Windows 10 Media Creation Tool can’t find USB. Many users have reported this issue with SanDisk USB drives. 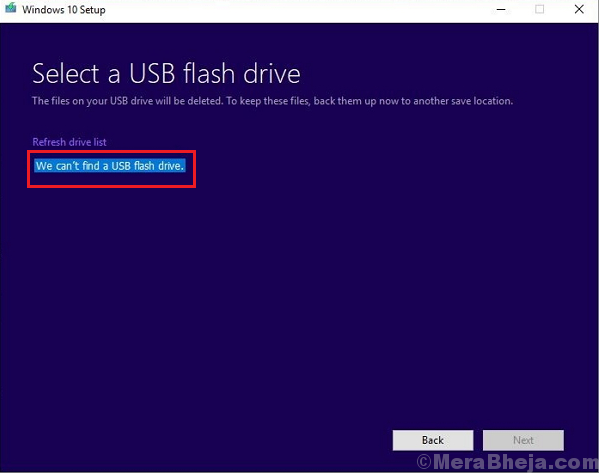 Thus, if you are using the SanDisk USB drives, you might have to change that option. If not, the issue could be with the drives or the disk itself. Before anything else, we need to be sure that the USB disk itself is well and good. Try checking it by inserting it in different systems and try copying different software into it. If it works fine, the issue is probably with the system. 2] Type the command diskpart and press Enter. 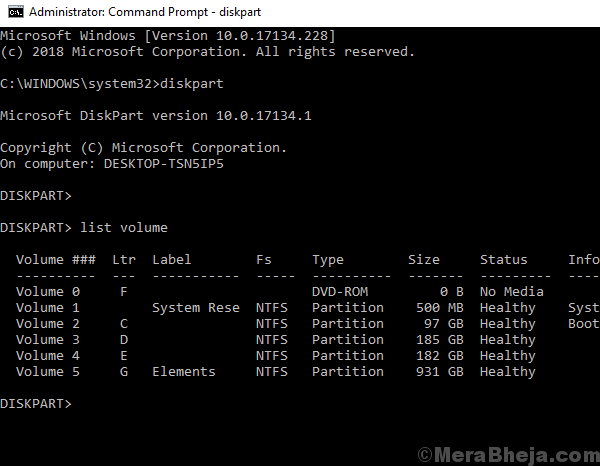 It would start a new line in Command Prompt which starts with DISKPART>. 4] This would display all the drives with their drive letter and Volume number. Note the Volume number of the USB drive. A message would appear Volume <volume number> has been selected. 6] Now copy-paste the following command and press Enter. Updating the USB drivers could help the cause. Here’s the procedure to update the drivers. Perhaps, this issue isn’t limited to SanDisk USB drives. Perhaps, it is a known issue with the system and Microsoft would release a fix in form of a Windows update. To make sure we have considered this possibility, update Windows. The problem might be with the Windows 10 Media Creation Tool. In such a case, we could use one of the various third-party tools available online to burn a bootable USB drive.